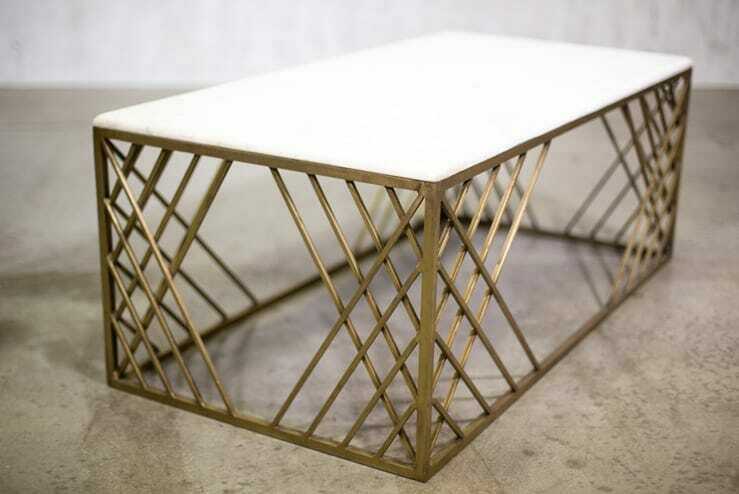 Marble and brass coffee table. 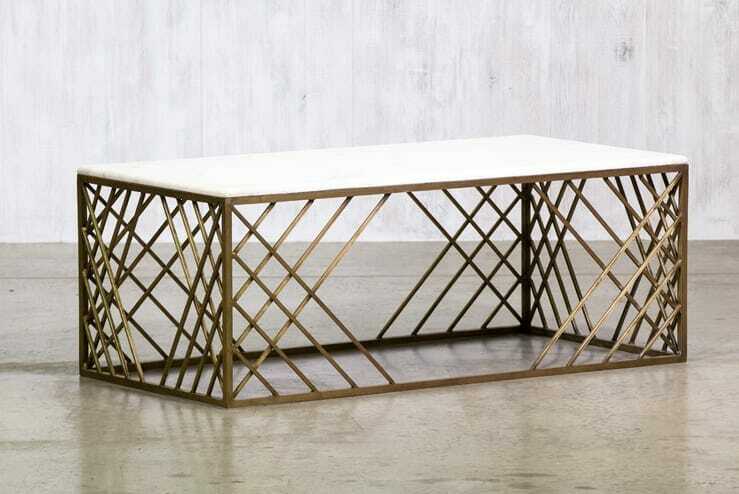 Angled brass supports form a lattice motif. 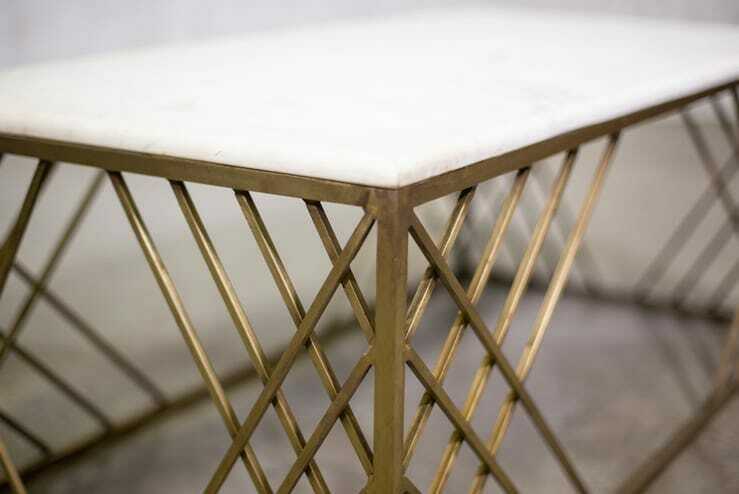 The top is polished marble.